Lush green meadows, clean mountain air and cool alpine forests are what visitors to the Alpbachtal Valley can look forward to in summer. 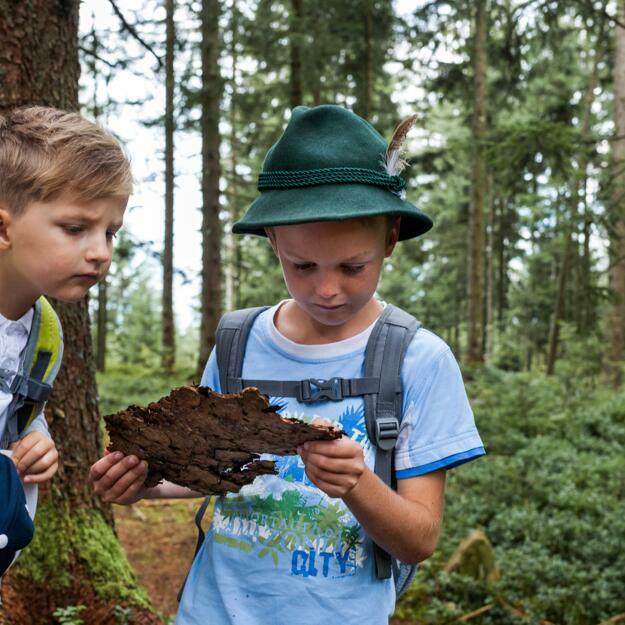 The Hotel Böglerhof in Alpbach, known as the most beautiful village in Austria, is the ideal starting point for all the family to explore this fascinating region. Hiking in the surrounding mountains, mountainbiking over the peaks and pastures or a round of golf at the nearby Golf Club Uderns? It's up to you! Whatever you decide to do, the best way to cool off afterwards is with a dip in one of the crystal-clear mountain lakes or a rafting adventure on one of the wildwater of the Brandenberger Ache river. 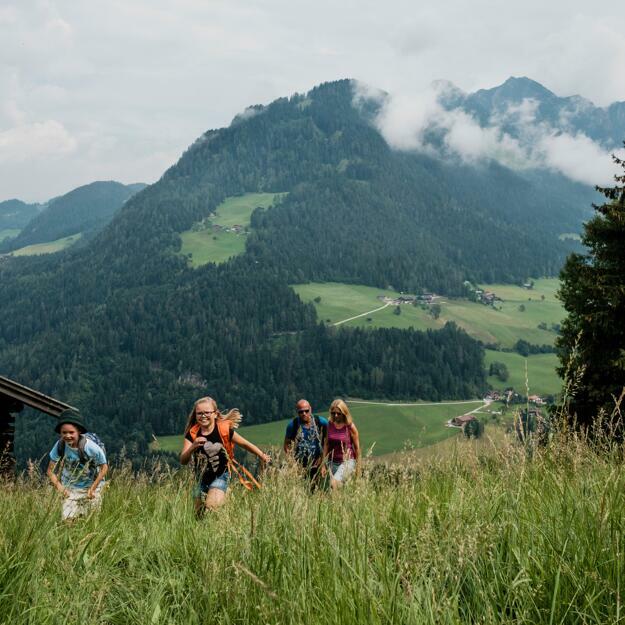 Walking is the best way to explore the landscape of the Kitzbühel Alps. Here at the Hotel Böglerhof in the village of Alpbach we have everything guests need for a great walking holiday. Popular destinations within walking distance include the Zireiner See lake, the Tiefenbachklamm gorge and the Reintaler See lake. Equipment such as telescopic poles, rucksacks, waterproof clothing and maps are available free of charge from the hotel. Twice a week our qualified hiking guide Gerhard invites hiking enthusiasts to join him on hikes into the Kitzbühel Alps. He knows the region inside out and will be happy to show you the best spots and views. These guided hikes are rated easy to intermediate. All hikers receive a packed lunch and a CD with photos. Wiedersbergerhornbahn cable car in Alpbach and Reitherkogelbahn cable car in Reith both transport hikers quickly and comfortably into the Alps. 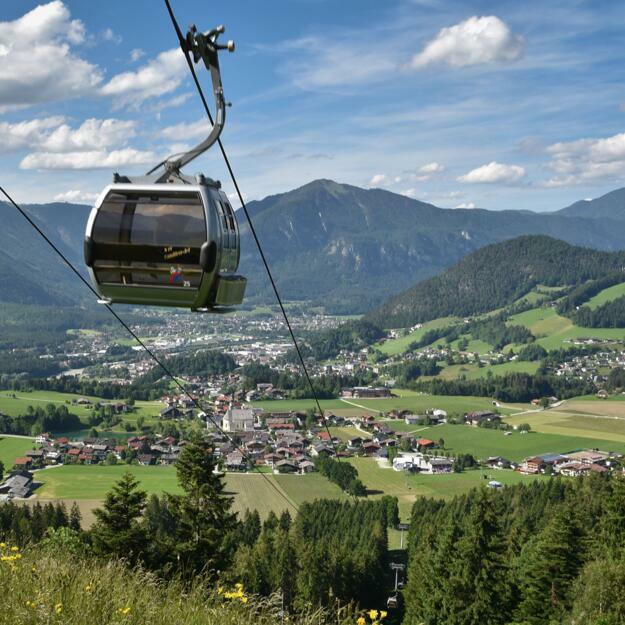 Holders of the Alpbachtal Seenland Card can use the cable cars free of charge. The Steinbergalm is famous for their home made cheese! With your car you drive to Inneralpbach until the Wiedersbergerhorn parking place. From there the walk is left pass the trees. After a few meter you will reach a wood bridge, where you turn right. Follow the street just always streat ahead. Walk along the river and you will reach after abour one hour the Faulbaumgartenalm. There you can eat or drink something at the wonderful terrace. After you enjoyed your break you can walk through an alp way, where you can eat their homemade cheese. The Steinbergalm is a famous for their lovely cheese! With the car you drive to Brixlegg to the castle Matzen, where you can park your car. After the Nymphäum you have to turn right to the small village Percha/Mühlbichl. You have to walk down to Bad Mehrn, where you go to Burg Lanegg until the school.Pass the Mehrnstein way to the small town Maria Hilfbergl. A few meters from there there will be a small way through the wood. You will have a great view over Kramsach, Rattenberg, the Rofan mountains and also the Wilden Kaiser. At the chapel you can walk left by the cross to Rattenberg. After about 500 Meters there will be a small way to the top of the castle ruin. There you have a great view over the old buildings from the castle. Please take the same way back, because up on the ruin it’s very sheep. After a little walk along the pedestrian area of Rattenberg you go to the way to Innsbruck. After the Montanwerke Brixlegg you will reach a parking place, where you turn left and go to the town Weng. Walk through about the whole houses to the land street B 171. You cross the street and go on the other side of the Matzenpark. Pass the tennis cort, the fish lake and you will reach the castle Matzen parking place. Walk pass the nature jewels Brandenberger Ache to revert to ancestral traits. By car you drive to Kramsach until the lift parking place. Follow the road until Aschau after about 2 km you will reach the doorway Tiefenbach gorge. You can park your car along the Street. From June until September you can also drive by bus from Brixlegg main station or from the townhall in Kramsach. The buses go from Monday until Friday, the bus times you will get at the reception. The walk passes the Brandenberger Ache, where the nature is just brilliant. Highlight: the exciting view on the top of the Tiefenbach gorge. You go to Inneralpbach by car or bus to the Wiedersbergerhorn parking place. There you walk at the right side cross the small wood bridge along the main road. After a few meters you will get to the Gasthof Leitner, where starts a gravelled road. You follow the gravelled road always straight ahead. Pass the Greiteralm and there you will see your goal. After a few kilometres you will reach the Famrkehralm. (Niederleger) The Farmkehralpe is very famous restaurant for it’s big escalope. You can eat them at the terrace if the weather is beautiful. You also can walk up to the top of the Big Galtenberg. You just have to follow the signs up to the mountain. The Big Galtenberg is about 2424 m.
For the way back is it the best you just have to take the same as before. Walking way round the whole village of Alpbach. 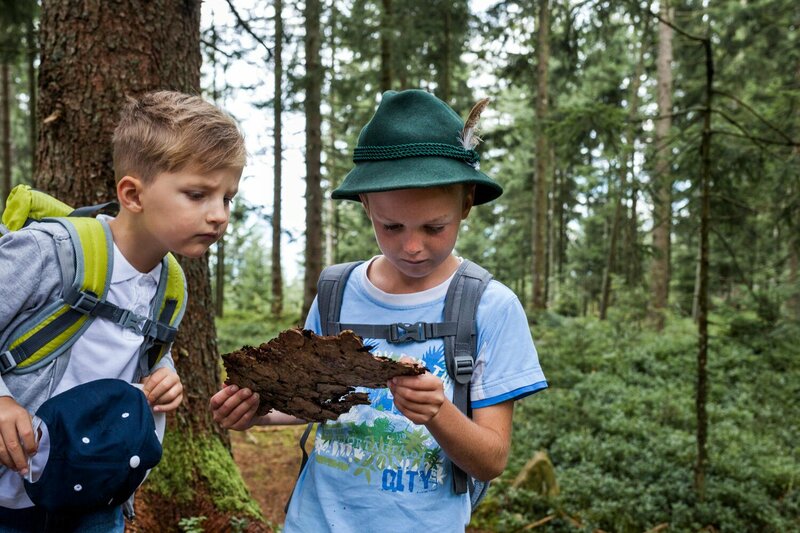 You will get some impressions of the history and the nature of Alpbach. From the Böglerhof you walk left until the tennis court, where you turn right and walk until the Hotel Alpbacherhof. Pass the Alpbacherhof at the left side and walk to the small bridge. Turn left to the Mühlbach way. The A3 is below the Hosl lake until the grill station. There is also a children´s playground. You can enjoy the great view over Alpbach. You walk back on the Lärchen way, pass the Thierberger houses, the Bradenberg and the Trat. If you follow the way just straight you will be after a few meters at the village Alpbach. This tour is not ideal for baggies, but for families with children! With the cable car you drive to the top of the station. There you can enjoy the great view over Alpbach. On the south side you will see the Zillertaler Alps and the Hohe Tauern . On the left side you will see the Sagtaler Spitze. You walk the way Nr. 40, which is taking us to the Wiedersberger Horn. The way takes about 30 minutes and is very sheep. After a little break and a photo we walk just always straight ahead. (Nr. A 41). After about 2 hours you will reach the top of the Sagtaler Spitze. The Sagtaler Spitze is a mountain range, which is connecting the Big Galtenberg and the Wiedersberger Horn. Attention: For this way you should be a very skilful walker. The next top is called Gamskopf and is about 2205 m high. The walk to the Gamskopf takes about 1,5 h. For some help you can need the steel cable and many signs of the way. From the top down to the Krinnjoch (1990 high) there is a simple way Nr. A 42. 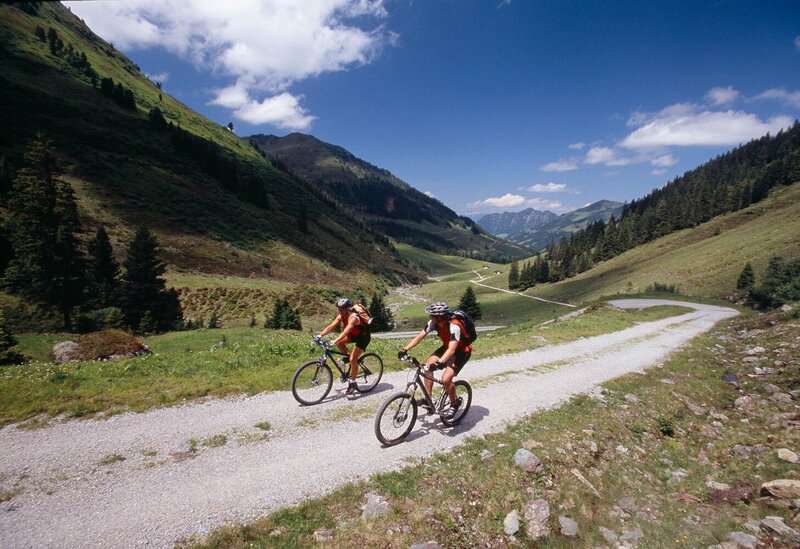 The next goal is the Farmkehralm (Niederleger), where you can also have some snacks or ice cream. At the end of the tour you walk out of the valley. (A 16) After about one hour you will reach the village Inneralpbach, which is the end of our tour. This walk is a very nice walk for the whole family. You have a fantastic view to the Zillertal, the Inntal and of course the whole Alpbachtal. Moreover you may see the Karwendel mountains and the Zillertal glaciers. From the lift parking place you take the cable car and drive up to the top of the Wiedersbergerhorn station. You turn left and there you are at the Panorama way (Nr. A 40). Here you have a fantastic view to the other villages. The way is round the Wiedersbergerhorn. 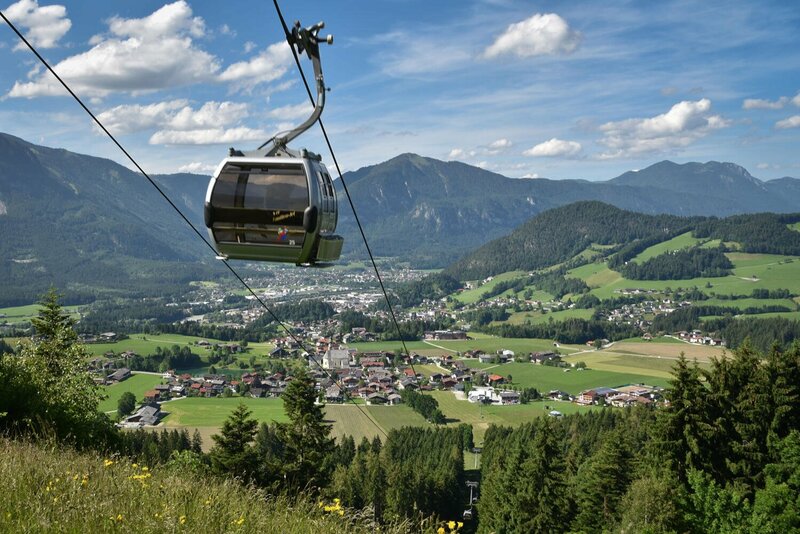 At the end of your tour you reach the cable car station again, where you can walk to the parking place or take the Wiedersberger Horn cable car. After the walk you can have a drink at the restaurant Dauerstein. 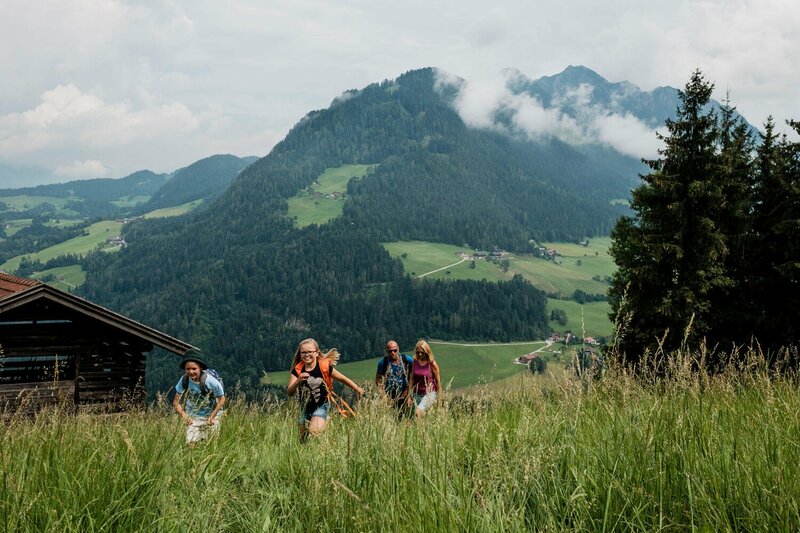 TIP: Hike to the top of the Wiedersberger Horn. (2127 m) It’s about one hour to go and it’s just amazing on top of the hill. Enjoy the great view ! From the parking place Reintaler Lake east you walk to the Berglsteiner Lake. Along the way you will see some lovely coloured signs about some concentration exercises and coordination. You go along the east side of the lake the way Nr. 11. There will be after a few meters a sign, which is the Voldöpper Spitze. Follow the sloping corves gravelled road until the Schindler way (on the right side). If you want to see an apiculture, you just have to book it by the Pumpenhof. He will explain you everything of the bees and you also get a conduct. Go to the right side on the way Asperhof. There you find a dolls museum and also a children’s zoo. You can eat or drink something there. The way back is Nr 11. It’s a little rising until the Kramsach Moosen on the left side. You also will find the parking place there. Follow the main road on the left side and pass the Congress Centre. Follow this road about 20 minutes. One passes several farmhouses on the right and after a while reaches a junction, where one keeps to the right crossing over the bridge. There you are going straight ahead and just follow the main street. There are coming two farmhouses where the second of the both is the restaurant “Roßmoos”. Another 15 min. walk along this road take you to the “Wurmhof”. For returning you have two options. Continue up the steep road to the “Tal” farm. Follow the road leading through the woods bringing one down to Inneralpbach. Pass the “Buben” chapel to the right side and then you are coming after a few minutes to the Hotel Wiedersbergerhorn. Before the Hotel Wiedersbergerhorn there is a little bridge where you just have to turn right. Following the main street you are getting to the Weikart ditch. If you are always going just straight ahead you are in heart of Alpbach after a few minutes. You can also go by bus from Inneralpbach to Alpbach. The bus station is directly at the Hotel Wiedersberger. Go by car to the parking place of the cable car in Kramsach. You go up with the Sonnwendjoch cable car. 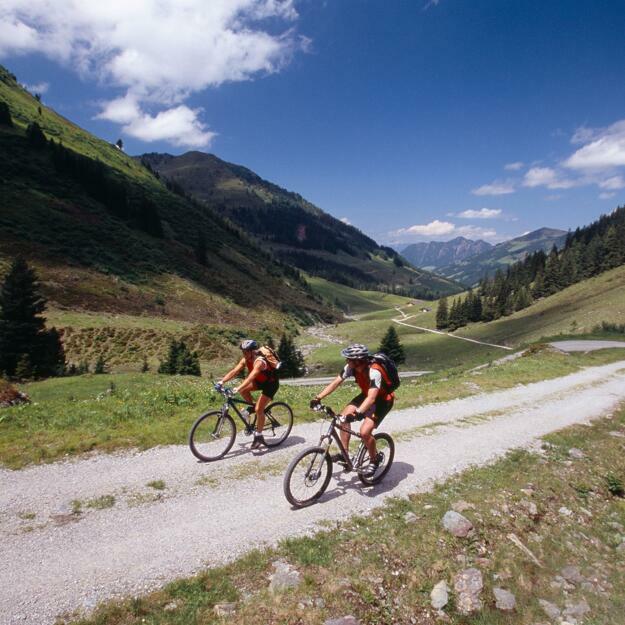 (free of charge with the Alpbachtal – Seenland card) You have to make a short increase below the Rosskogel. You walk to the Zireiner lake (there are good signs about the Zireiner lake). At the west side of the lake the way is very steep. After that there is a very short but steep increase to the Kamin (via verata) to the Sagzahn at 2.228m. You can also go round the mountain, but that takes about 45 minutes longer. From the Sagzahn you walk very easy to the forward Sonnwendjoch. At the end of the tour you walk to the Bayreuther Hütte. When you always go just straight ahead you reach after a 4 hours the Bottom Station of the Sonnwendjoch. It’s very easy to walk downstairs, but a very long way. The Böglerhof Chapel is located in the garden, between our hotel and the Congress Centrum Alpbach, just meters from the Böglerhof. Created in 2014, the chapel is said to be a source of power, where exhausted wanderers regain their strength and find a place of silence. From 9 AM till 9 PM the chapel opens for everyone who is longig for inner peace, instead of a physical challenge. And who knows, maybe it's here, where the enlightenment will guide you to your next hiking destination. We will be happy to provde guests with a hiking backpack including a snack. 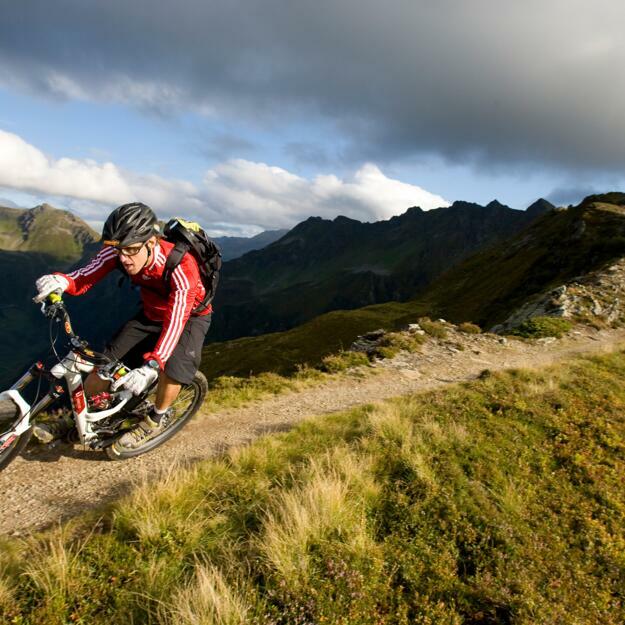 Want to explore the mountains on two wheels but left your bike at home? No problem! 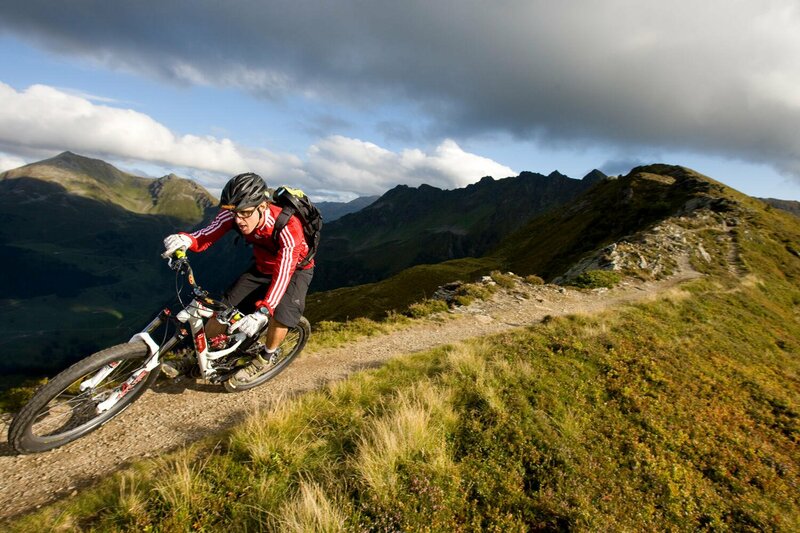 At the Hotel Böglerhof we have a number of well-maintained mountain bikes available to use free of charge. Staff at reception will also be pleased to provide you with maps and tips on the best places to ride. 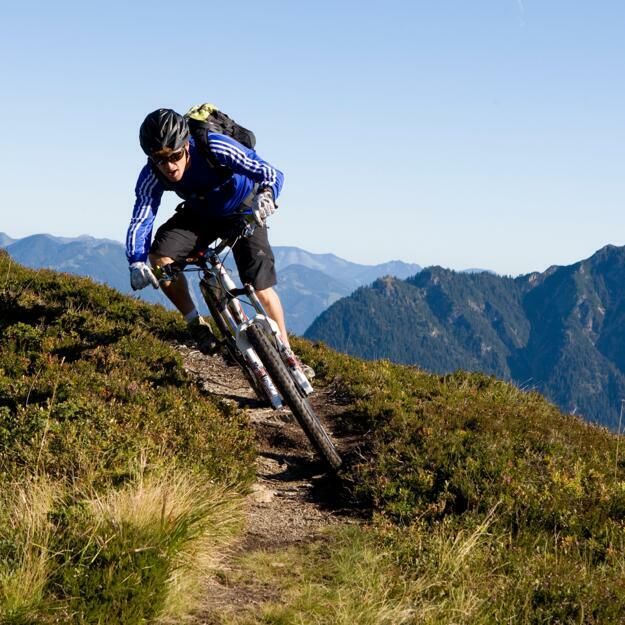 Alternatively, why not hire a guide from AKTIV BIKING and let an expert show you the best trails in the beautiful Alpbachtal Valley? Those who enjoy riding but need a little extra power should try an electric bike. Known as e-bikes, they combine normal pedal power with a battery boost for flat and uphill sections. A great way for older or less fit riders to see the best bits of the region. 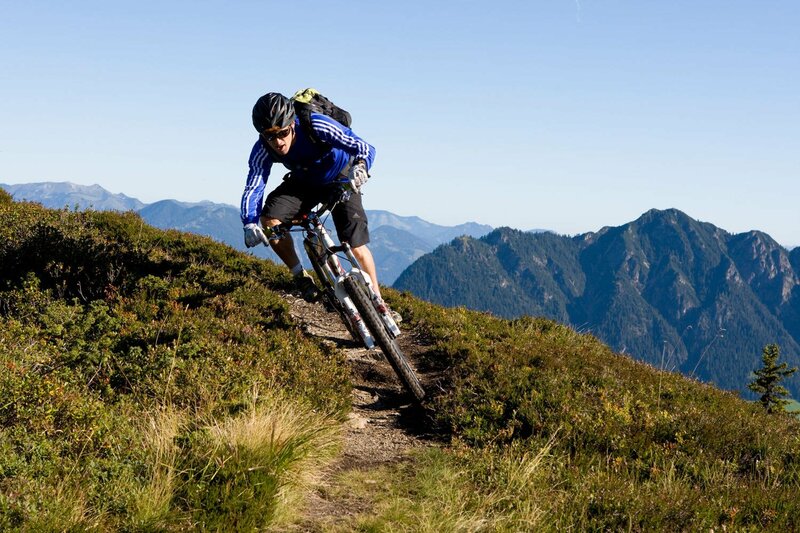 Tip: Check out the interactive Map for mountainbike trails around the hotel. The Golf Club Uderns in the Zillertal valley is just a 30-minute drive (22 km) from the Hotel Böglerhof and offers players the chance to tee off in the heart of the Kitzbühel Alps. The club has an 18-hole course with a driving range, a café and a golf school. As an official partner of the Golf Club Uderns we can offer our guests the chance to pay their green fee in the hotel (including a 15% discount) and book their tee time on the course via our reception team. TIP! Further golf clubs in the region include GC Achensee (35 min. ), GC Westendorf (45 min. ), GC Innsbruck (60 min) and GC Kitzbühel (60 min.). Take aim – get ready – fire! Sport Ossi in Kramsach offers archery lessons for all abilities. It is not just about competing against each other but also having fun outside and improving your hand-eye coordination. Kayaking is the most relaxing way to experience the wildwater rivers of Tyrol. Let the team of experienced guides at Sport Ossi show you how it's done. Courses for advanced kayakers are also available. Confidence, coordination and courage are the name of the game at the high rope adventure park in Kramsach with its zipwires and obstacle courses far above the ground. 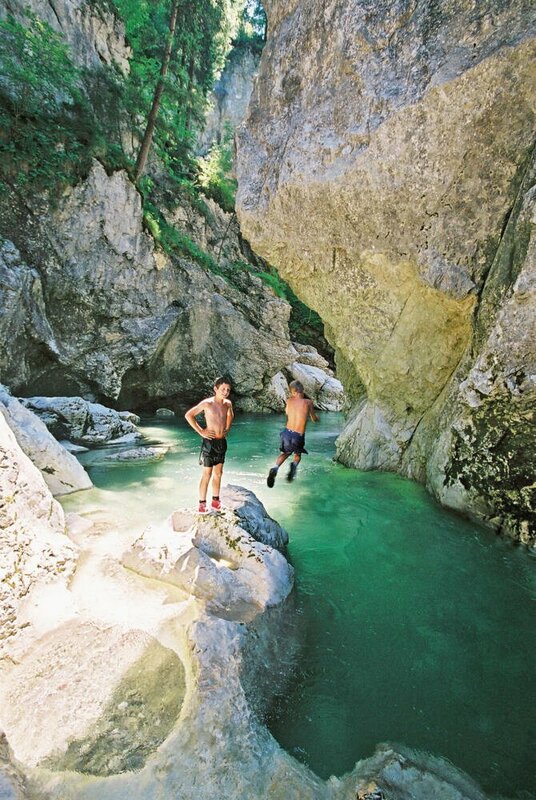 The Brandenberger Ache is one of the last wild rivers in Europe. Tubing, similar to rafting, is a great way for visitors of all ages to experience it up close. 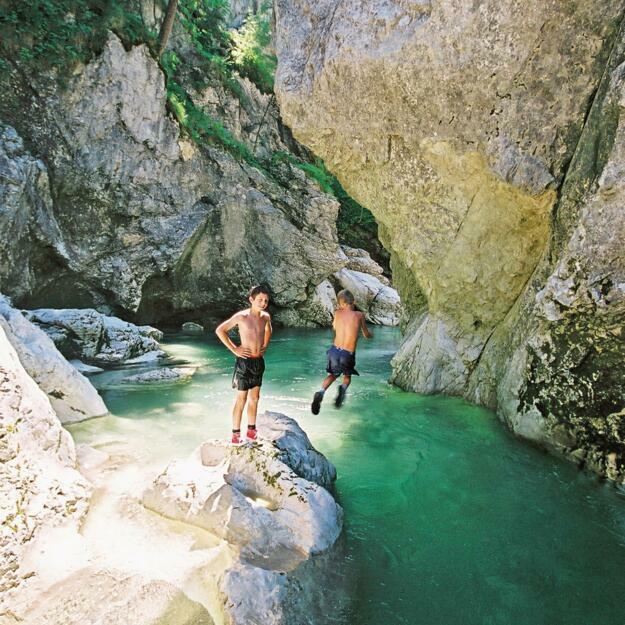 Fancy an outdoor holiday in Tyrol? Then book your holiday at the Hotel Böglerhof today!